We read Turkey Trouble back around Thanksgiving and our students LOVED it! To continue the fun, we read Turkey Claus today and the kids were a riot over the turkeys shenanigans! Turkey is in trouble and about to be eaten for Christmas dinner...so he heads to the North Pole to see Santa and put in his Christmas wish in person. The elf won't let him in, so Turkey uses holiday disguises to sneak in and beg Santa for help! Our children had some good laughs with our turkey disguises and matching sentences! 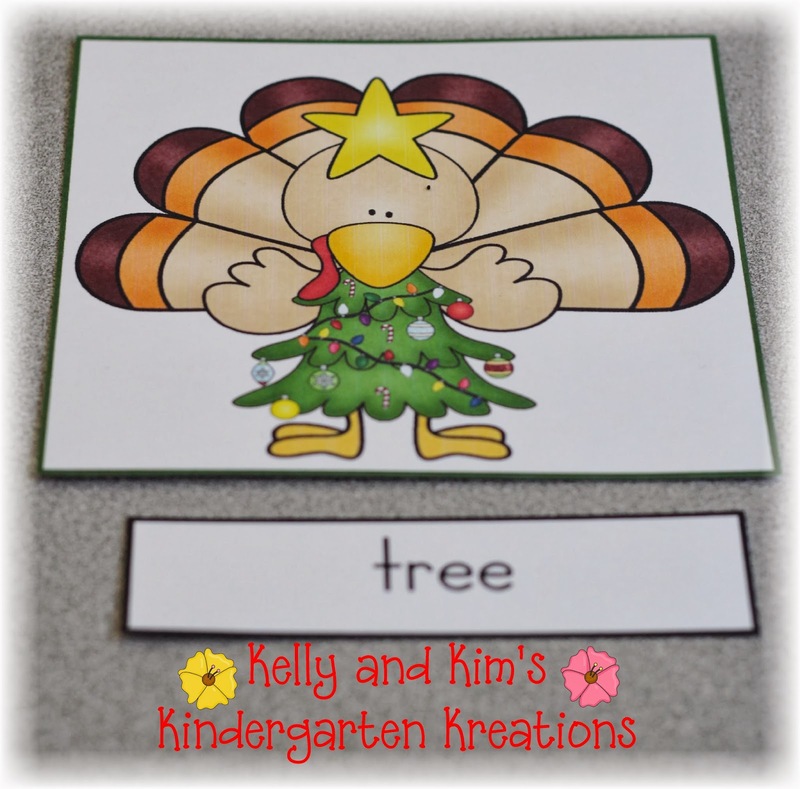 Isn't this tree turkey stinkin' cute?!? 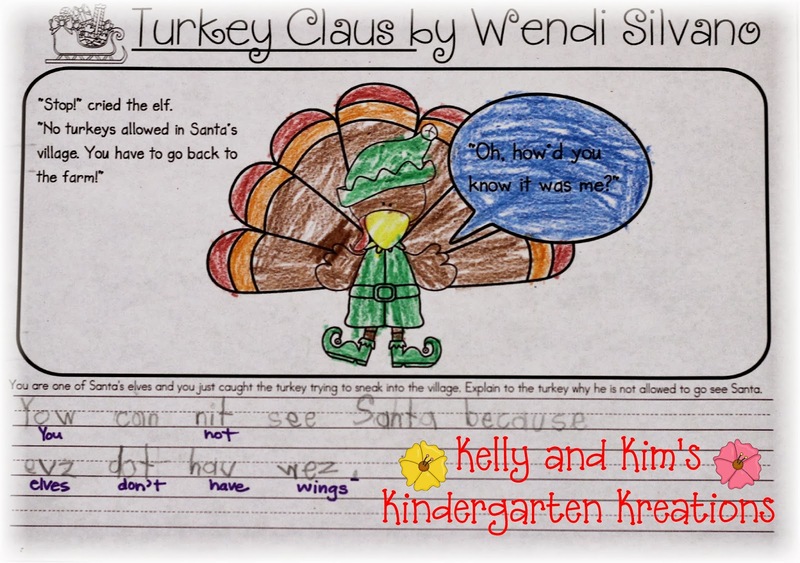 After groups worked on the differentiated word or sentences, the children wrote about how Santa's elf would know the turkey was a turkey and why he couldn't go see Santa. Our children are just beginning to write more independently with a combination of sight words, phonetic spelling, and words around the room. It is a work in progress, but most of them are really accepting the challenge!Woo hoo! You can look for this pack coming to our TpT store soon at http://www.teacherspayteachers.com/Store/Kelly-And-Kims-Kreations. Have you read this book with your children? What other fun activities did you do? My 4 year old son has formed a fantastic relationships with all of the teachers. He would hug each one before we were leaving for England. His classes were full of excellent teachers.